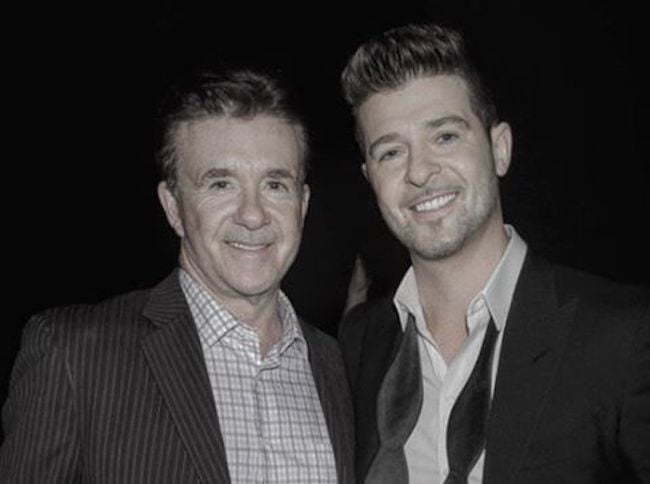 Robin Thicke is mourning the death of his father Alan Thicke, who died on Tuesday from a heart attack. 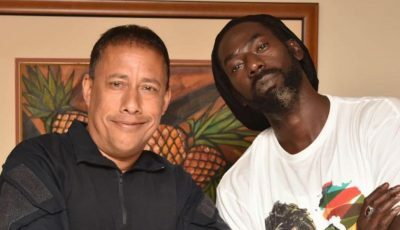 The actor and TV icon passed away around noon on Tuesday (December 13, 2016) after a massive cardiac arrest during a game of hockey with his 19-year-old son, Carter Thicke. TMZ reported that he was rushed to the Providence St. Joseph’s Medical Center where he was pronounce dead. He is a regular at the hockey rink in Burbank and arrived there moments before midday on Tuesday. He started complaining about chest pain a short time after. Paramedics were called in and he was transported to the hospital but did not survived. Alan died leaving his wife Tanya and three sons, Robin, Brennan, and Carter Thicke. He was age 69 at the time of his death. The actor was born in Canada and is famous for his role as Jason Seaver in the 1980s sitcom Growing Pains. Some of his most recent acting gigs includes a cameo in the the TV series This Is Us and also in the Netflix reboot sitcom Fuller House.